Fight undead pharaohs and mystical beasts from Egyptian mythology while uncovering the cause of a horrific curse. Explore four brand-new regions: The Valley of the Kings, City of Thebes, Aswan, and Kharga Oasis. Enhance your gear set by wielding new legendary weapons with unique attributes. 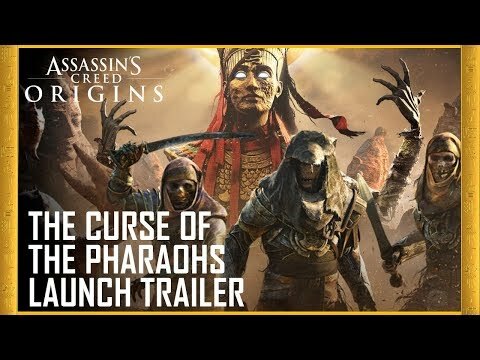 Make Bayek even deadlier with a higher-level cap and new abilities.